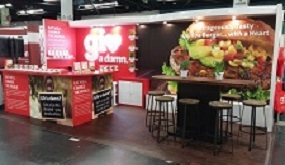 Welcome to Greve Co Displays and Exhibits. My name is Brandon Greve and I want to personally say thank you for visiting our website. 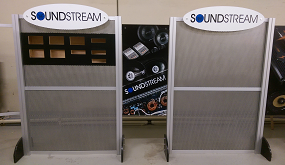 Everything on this site was designed, engineered and built in our trade show booth manufacturing facility in Orange County, California. 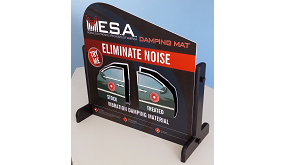 All of our trade show booths, exhibits and displays are of the highest quality, custom made, and intelligently thought out right down to the smallest detail without the high prices most have come to expect. 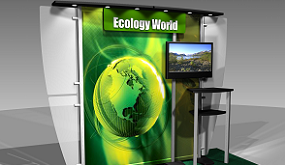 If you are looking for a custom 10x20 trade show booth, a rental trade show booth, a fully custom exhibit of any size, just a small reception counter, or even if you don’t know where to start, give me a call and talk to me personally. I look forward to hearing from you. In July of 2017, Greve Co. 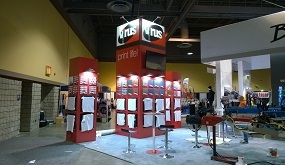 Displays and Exhibits celebrated sixteen proud years of service to the trade show industry as a full service booth design and trade show exhibit manufacturing firm. We have maintained this longevity by our devotion to remaining an inventive, imaginative, low overhead, high quality enterprise with reasonable pricing. Our growing list of loyal customers demonstrates that this formula works, and we welcome you to our home page to get to know us better. 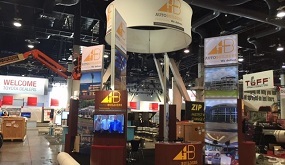 We look forward to meeting you personally and working with you to maximize your trade show marketing, branding needs, and requirements. 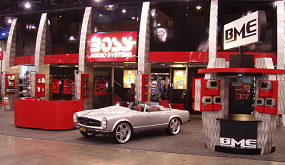 We are conveniently located in Orange, Orange County, California specializing in California and Las Vegas Trade Show events as well competitive national supply. We encourage you to visit our facility, or we will gladly come to you. We believe in total customer service and quick response to our customers. View examples of our P.O.P. 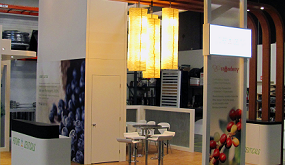 Point Of Purchase Displays, Two-Story Trade Show Exhibits, Custom Trade Show Booth Design, Aluminum Extrusion Booths, Modular Displays, and Trade Show Counters. 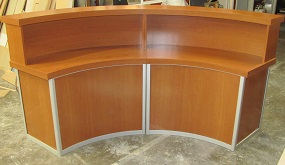 We are known in the industry for excellence in value engineered design, and manufacturing of custom displays. In fact, we have become so adept at crossing the boundaries of these techniques; we have coined the term, "Integrated Structural Technology" (IST) to describe our process. This is important for many reasons, the most important being the ability to address your marketing requirements with an eye toward using the best, most effective methods possible to accomplish your goals, with a commitment to increasing the return on your investment. There are times when only a custom look and feel can provide the image you want to project to your customers and competitors. Your vision can be created using a combination of building techniques that enables us to lower your storage, transportation, drayage, as well as installation and dismantlement expenses – without sacrificing image. From your concept, we design utilizing state-of-the-art 3D computer imaging programs to demonstrate your vision as the environment or display is developed and prepared for manufacture. This allows you to see the concept in depth, from any angle, and refine the smallest details before making any commitment. Once you are satisfied on the approach and technique, we will incorporate additional technology to automate the manufacturing process for precision and efficiency. Time is money. We value both and are committed to delivering personalized service and high-quality, affordable products.